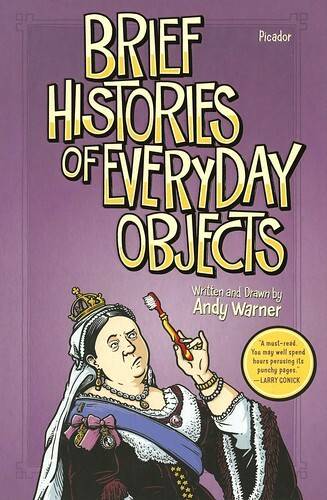 This book is a graphic tour through the unusual stories behind the creation of some of the overlooked items that surround us in our daily lives. Chapters introduce inventors whose ideas led to the ballpoint pen riots, cowboy wars, and really bad Victorian practical jokes. Readers learn how Velcro was invented by a Swiss engineer after he took his dog for a walk; how potato chips were invented to get back at an annoying diner in a restaurant, how Instant Ramen noodles were invented with the idea of feeding the whole world, that the toy Slinky was created by a naval engineer while on board ship and so much more.